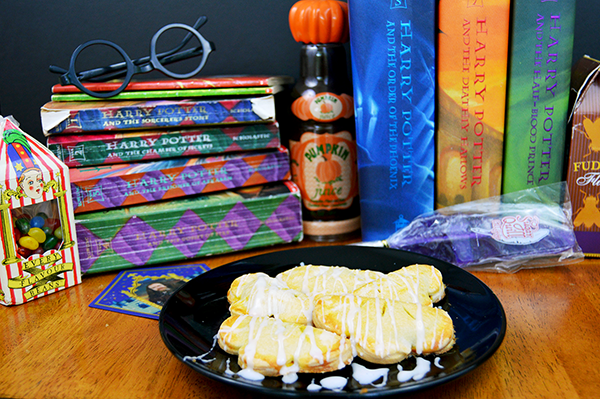 Harry Potter week in the Starving Chef's kitchen continues with some pumpkin pasties - fresh off the trolley of treats on the Hogwarts Express! 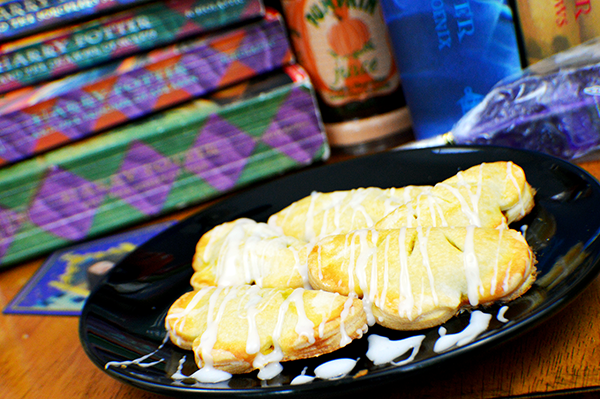 These pumpkin pasties taste just as magical as they look, and are so easy to make, you'll have your friends and family thinking you really are a wizard. 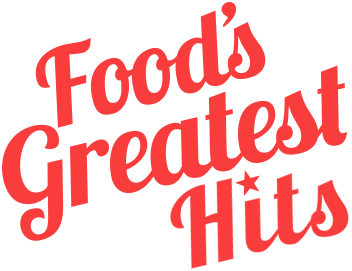 Plus, even if you are a squib when it comes to cooking, there's only like, 7 ingredients and if you can swish a wand, you can stir with a spoon. Even Neville Longbottom couldn't mess these up. Either make your pie dough from scratch, or be lazy like myself and buy a package from your grocery. 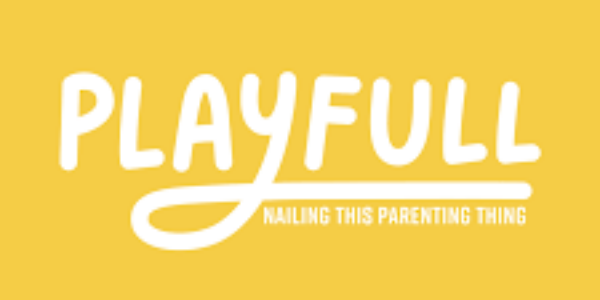 Use a cookie cutter to create round cutouts. I just happened to have a floral set on hand that worked like a charm. You can actually use pretty much the entire roll of pie crust too, if you lump together the leftover pieces between the cutouts, you can actually get a pretty useable dough to rollout and get more cutouts from! 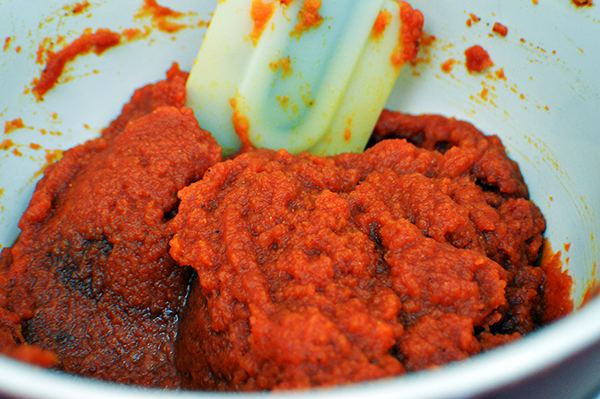 Make sure you get just canned pumpkin puree, and NOT pumpkin pie filling, for this recipe too! It's the difference between lumos and nox when it comes to flavor. Use about a half of a tablespoon of filling per pastry, then seal the edges shut using your fingers dipped in water, and pressing the sides closed. Pierce the pastries too, so they don't explode like a howler! 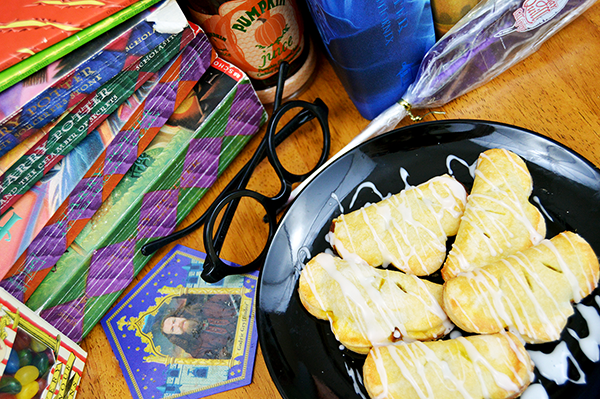 Enjoy alongside some pumpkin juice, a handful of Fudge Flies, Bertie Bott's Every Flavor Beans, and a Sugar Quill. Oh, and with a stack of your favorite books. Preheat the oven to 350°F. 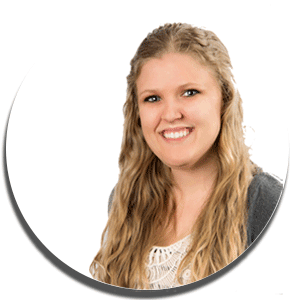 Unroll the pie crust and bring to room temperature. 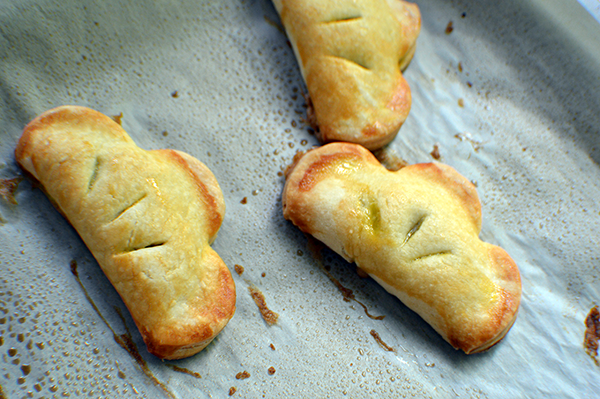 Use a circular shaped cookie cutter to cut out the pasty shapes. 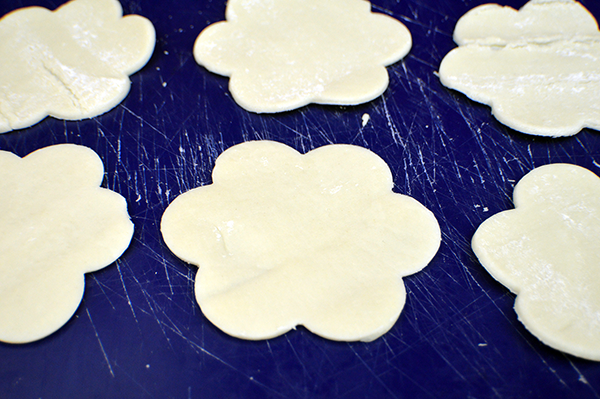 Utilize leftover dough by rolling it together and use a rolling pin to flatten for additional cutout space. 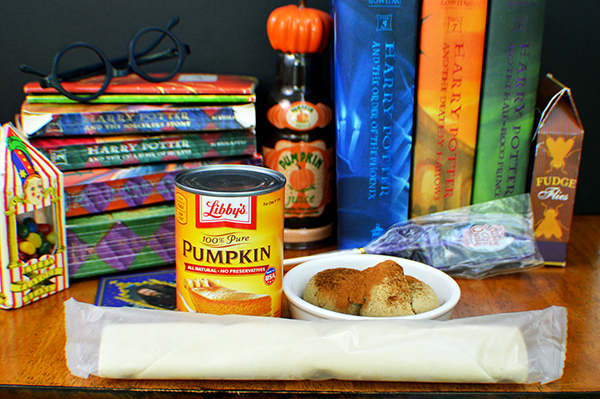 Combine the pure pumpkin, brown sugar, nutmeg, cinnamon, and cloves. 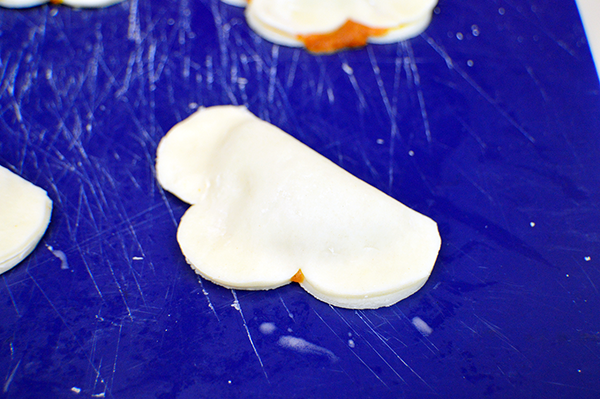 Use a spoon to measure the filling in 1/2 tablespoon amounts into the center of each pasty cutout. Dip your fingertips in water and wipe along one side of each pasty, folding the top over to make a seal. Gently press together the edges. Brush the pasties with the eggwash and cut few small slits in the tops of each pasty to ventilate. Arrange on a parchment lined cooking sheet and bake for 10-15 minutes, or until the pasties are golden brown. While the pasties are cooking, mix together the powdered sugar and milk until a runny icing forms. Remove the pasties from the oven, let cool for a few minutes before moving to a cooling rack to cool completely. 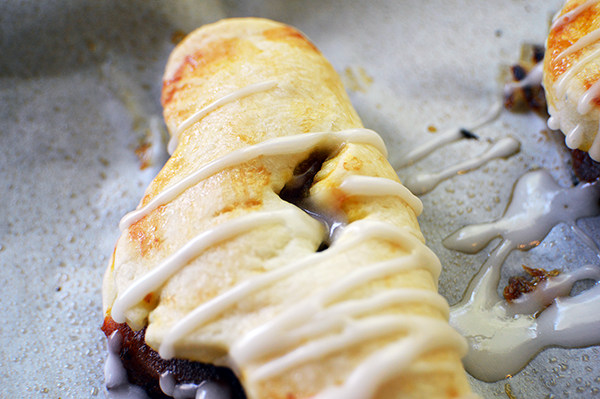 Enjoy warm, or drizzle on the icing!